Lassie mini lunchbox. This Lassie mini lunchbox came with lollies inside. I gave the lollies a miss...think they were a few years old!. 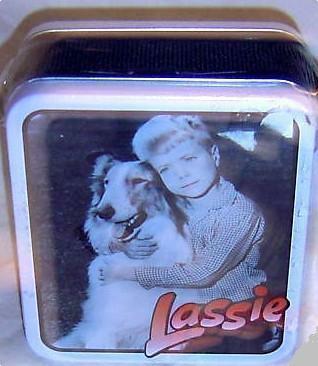 Wallpaper and background images in the Lunch Boxes club tagged: lassie tv sries lunchbox photo. This Lunch Boxes photo might contain toaster.